﻿ Game Show Garbage - More profitable than Impact Wrestling! If you'd like to support the site and be able to choose what goes on all the Viewers Choice polls we'll have, you can become a Patreon Supporter of ours! Go to www.patreon.com/gameshowgarbage and support the site! Even as little as $1 would help go a long way towards helping out with the production of this site,the videos and other things we have lined up for the future! I'm doing something I haven't done in a long time for this site...a written induction. Why? Because I don't want to spend more on production than the actual show. One of Stone-Stanley's cheapest and worst shows, Free 4 All is our latest induction! Brand new Games O'Canada has arrived and has one thing to say about its mistakes....Uh Oh! Watch all about it in the Games O'Canada section! In the Commentaries, a brand new series has debuted! 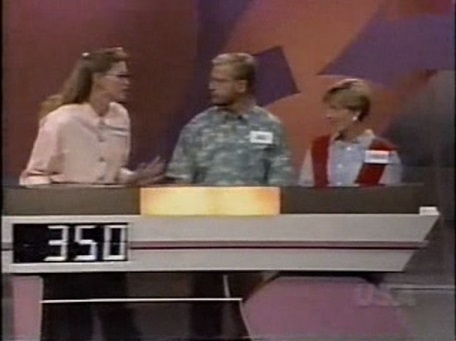 Sadly, the Talk Soup formula wasn't applied to game shows at all. Well, that has been rectified with the new show, Game Show Gumbo! Check out the premiere in the commentaries and if you like it, we'll make more batches in the future!